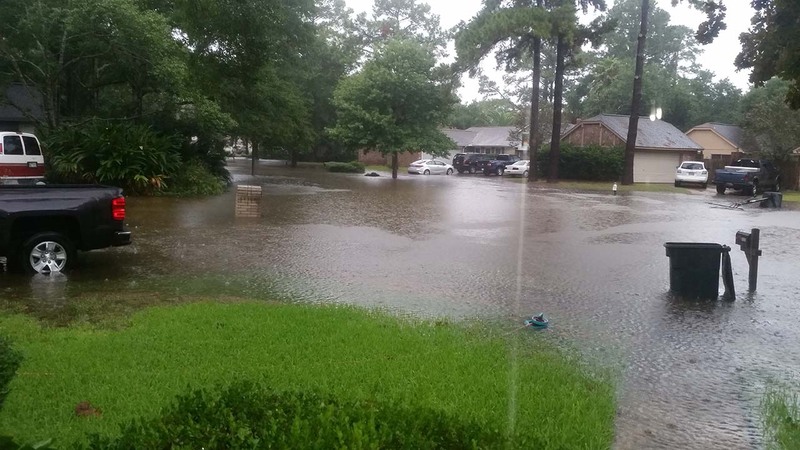 Flooding hits hard in NW Harris Co.
HOUSTON (KTRK) -- Horsepen Creek in northwest Harris County rose to the top of its banks on Sunday morning, nearly flooding. The water was so high, it began to flood a neighborhood road on Trailside Drive. The water began to receded by mid-morning. While residents were watching the water rise, they became anxious since many in the area are still recovering from the flooding in April. "The people in this neighborhood are just getting over the flood and it's just very disturbing to most of us," said Janet Varvricka, a resident. Meanwhile, other creeks and bayous continued to rise. In fact, Harris County deputies say there have been several sightings of alligators. Deputies are warning people to be vary cautious.